All the flavor of buffalo wings without messy hands! Perfect for your Superbowl Party. I lightened this using low fat and fat free ingredients. 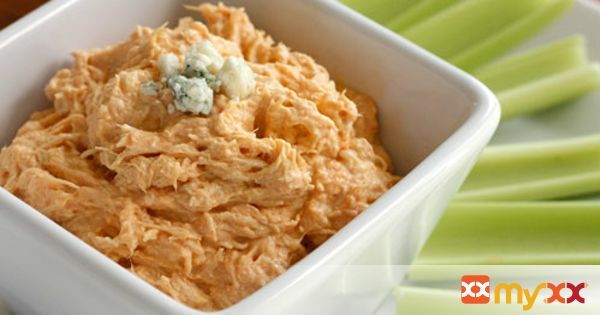 Adjust the heat to your liking and serve this with celery, chips or crackers. See directions for 2 different cooking options.